CEP is conveniently based in the heart of Old Montreal. We are available for your special event photography & portraiture. Christina is the proud owner of Christina Esteban Photography. Going on 13 years, our team continue to grow our clients by photographing: portraits, corporate events, commercial & we offer beautiful wedding photography. We have a passion for working with dynamic clients who trust our team, and feel completely at ease working together. Wedding couples in Montreal have fallen head over heels for our unique wedding photography style. 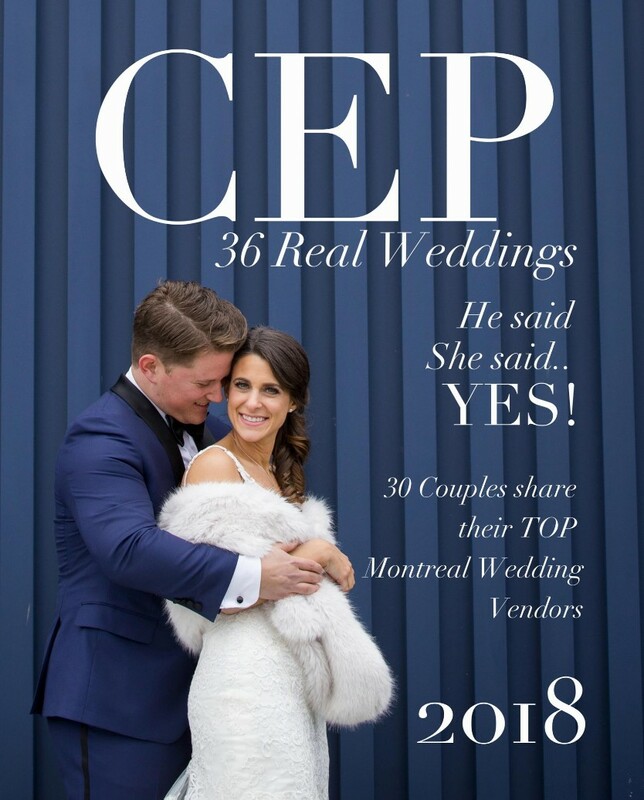 CEP is a unique collective of exceptional photographers with extensive experience photographing events across Quebec, ultimately earning an enviable client base. With a combination of creative skill and marketing savvy, enhanced by the very latest equipment training and technology, the CEP team is unbeatable. Just ask their clients! 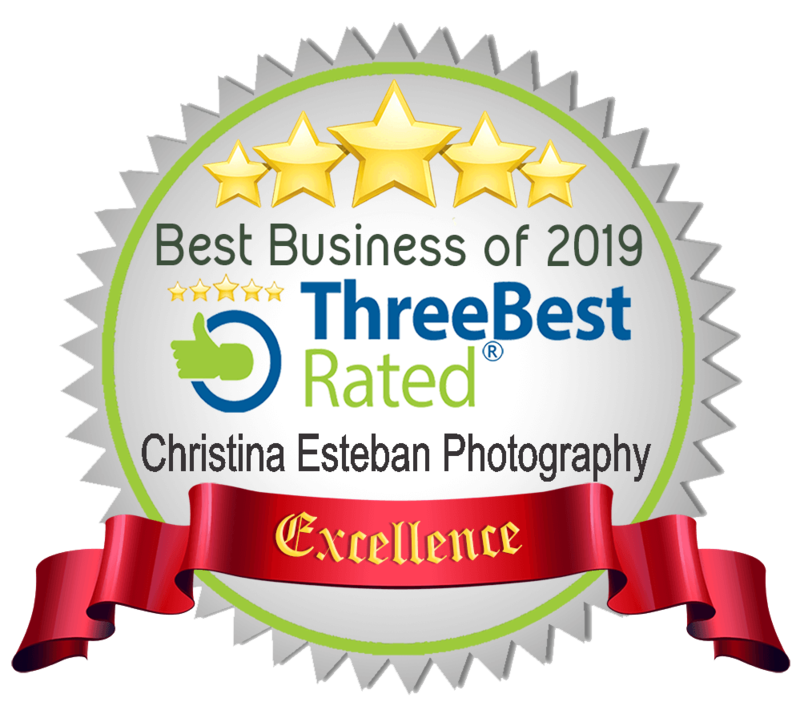 We have just been ranked #1 2019 in the Wedding Photography category in Montreal, by reputable: Best Rated. CEP has over 45 Google 5 star reviews, 100+ 5 Star reviews on Facebook. Once you’ve worked with CEP, we will partner together to capture more of your important milestones through the years. The studio is perfectly equipped to communicate your key messages with beautiful images; creating a lasting record that truly reflects you. We call it our ” Selfie Booth ” We offer customized digital props, specific to your event! We provide automatic beautifying filters, so everyone looks flawless immediately. We brand the booth screens and website. We promote your business by immediately linking your website to our photo booth. We provide immediate texting, email and social media (Facebook, Instagram, Twitter) You will not need an attendant. We provide you with stats on how many hits you received to your website, how many shares and how many times the photos were downloaded. Instant SEO. We will deliver the JPGS the very next day on the website. If you want GIF at the same time, no problem, more fun for your guests to choose from. "We WILL find your best light!" 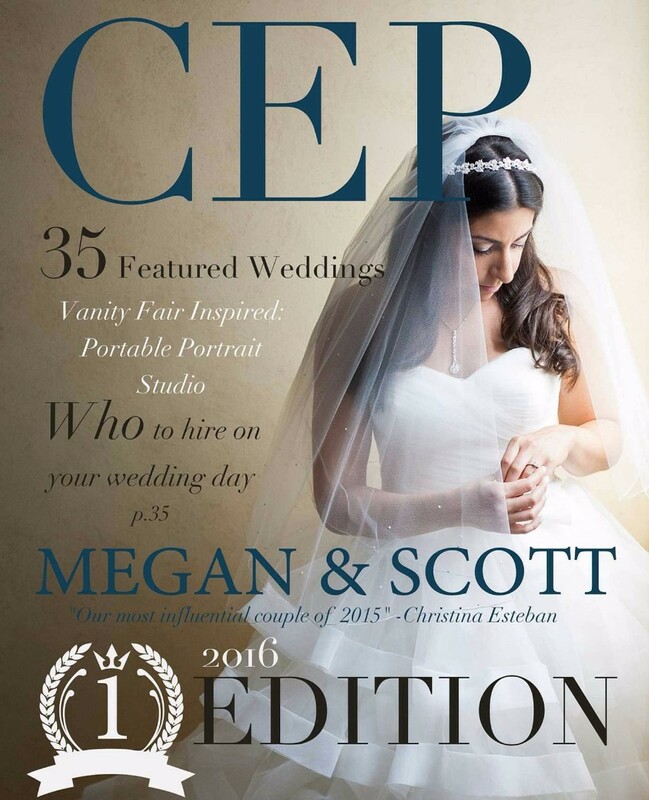 “That’s how some of the most beautiful, unforgettable moments are captured.” To learn more about CEP and how we can assist with your event, please be sure to take a look at our services. Check out our Instagram page where the team routinely document incredible events in and around Montreal. No matter how big or small, your event is important. CEP is here for you! Connect with us on Facebook and Instagram! If you’re looking for a great event or portrait photographer to make your day one to remember, please reach out! Get to know me! A rare one on one interview with me, how I work as your wedding photographer on your wedding day, what to expect from your photographer, why experience is important and why you should come and have your portrait taken by me for no reason at all. Timing is everything! We want your wedding day to be on time, rain or shine. Christina talks about what time to start your photography, what time to be ready, how much time for couple portraits to bridal party + family photos all before the ceremony. If you are considering hiring Christina for your next event, have a listen to the Wise Women Show. Co-hosts, Liz Wiener + Lisa Brookman are both long time clients of Christina. They share their personal experiences working with Christina for their family events and portrait sessions. Christina discusses her career in photography and new exciting projects that are making headlines in the news across Canada. I have photographed events for the past 13 years of my career. I’ve been hired to document significant and meaningful moments in your life. Sometimes, we struggle to find reasons to celebrate ourselves outside of these BIG moments. For example, postponing happiness until we lose a few pounds, or until we graduate from a course, or get the next promotion, or find the right partner, on and on. I believe it’s time to celebrate our setbacks, embrace and value ourselves TODAY, as we are. How do you want to be remembered in your life, today? I want to be remembered as a good listener, a supportive, caring person who made YOU feel important and valued. This is why I love what I do, I am here to celebrate YOU, give back to the people that love you, through a portrait of you today. 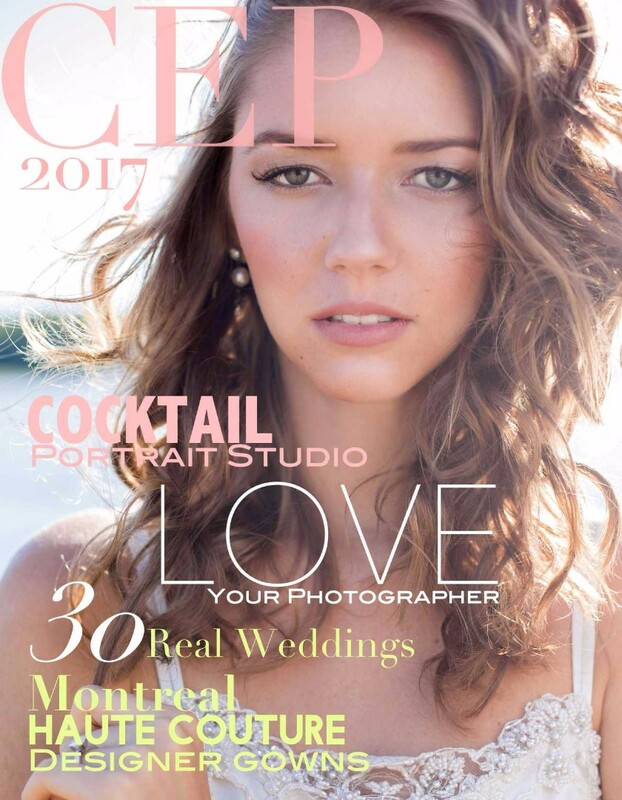 Have your portrait taken in studio with Christina: Take a peak into our studio, located in the heart of Old Montreal. 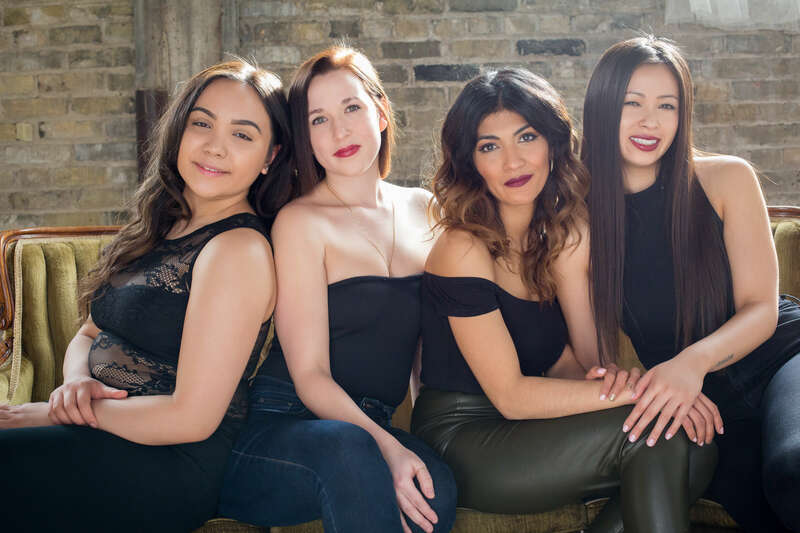 We are your Montreal portrait photographers: We will provide you with hair & make up, and deliver your full portrait experience. Our cocktail portrait studio is ideal for events. Having a professional portrait studio during cocktail at your event provides an original dimension for your guests to swoon over.